Cinnabon® For Sale in Busy NYC Area Mall. 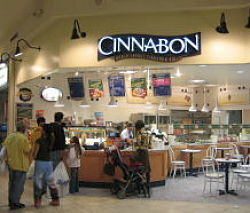 A Cinnabon® Franchise is up for sale in a busy NYC area Mall. This food concept is as simple as it gets as it runs with few employees, has a simple offering and is operated Absentee. An owner operator of this business could achieve fantastic results as this store operates with a profit despite being absentee run, with higher than average payroll and food costs. An owner operator that lets go of the manger and runs the operations hands on will have the opportunity to earn about $85,000 based upon current revenue. If you are looking a strong franchise brand, with a simple operation, a safe and secure location, great training and the ability to make $85,000 a year, this is your opportunity. 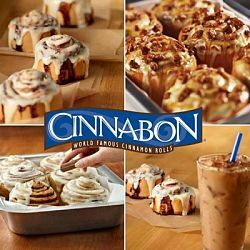 Cinnabon® is one of the most recognized and loved brands in the snack industry. In airport terminals, entertainment centers, and malls around the world, people are drawn to that tempting aroma and cinnamon-sweet flavor. Behind those handmade products is the strength of a world-class franchise system. We have built a team of experts to help drive consumers to our Bakeries. It’s what has made Cinnabon such a strong business today and moving forward. It all started with one family’s mission to create the world’s greatest cinnamon roll from scratch. Add in one master baker, months of trial and error, hundreds of different recipes and–BOOM!—you’ve got the sweet, cinnamon-spiced perfection that has become our world-famous classic roll. To find out more about this Cinnabon® franchise, please fill out the form below and submit.